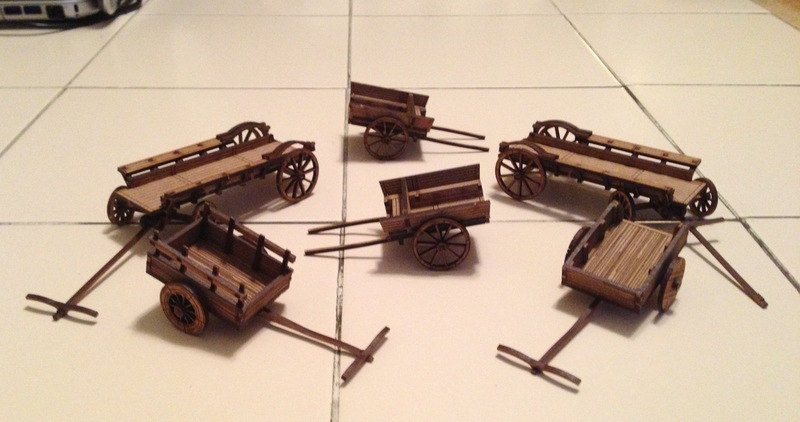 With our Flashing Steel games needing more terrain details, my son and I dove into the task of building some carts and wagons. These models are from 4Ground Miniatures. They are a laser cut product.